Encouraging environmental stewardship and sustainability by supporting environmental educators. What is the Columbia Basin Environmental Education Network (CBEEN) ? CBEEN is the regional network for environmental education in the Columbia Basin. professional development, and networking opportunities. 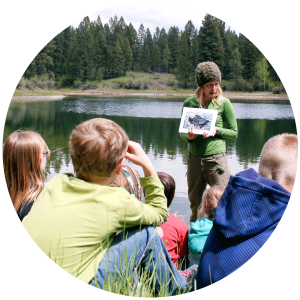 Wild Voices for Kids is a curriculum-linked, place-based environmental education program engaging local mentors in the education of K-12 students on the land, history, and culture of the Columbia Basin region. Wild Voices is a unique program in the Basin as it enables local specialists to develop programs connected to the local environment and tailored to their area of expertise and passion. CBEEN is energized by facilitating connections, and we are excited to provide opportunities to do so at many events and workshops throughout the year. 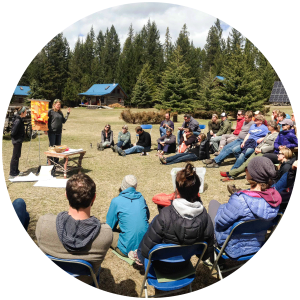 This includes workshops, webinars, and annual events such as the Inquiring Voices Sustainability Symposium, Environmental Education Leadership Clinic, and Celebrations of Environmental Education. We are pleased to provide you with some of the best environmental education resources available! This includes our Funding Directory, Organization Directory, Teaching Resources, Pro-D Bursaries, Job Board, Curriculum Resources, and more! News, opportunities, and upcoming events. This week's #wildvoicesweekly program feature is the Web of Life Initiative! Through the story of lktomi Luta Wi (Red Spider Woman), students learn to all co-create responsible, kind relationships not only with each other, but also with Nature. Students explore the Traditional Indigenous Worldview and the interconnectedness of all life through story, ceremony, games and creative art over the course of this full day program. Teacher's can find a direct link to Web of Life Initiative here: http://ow.ly/g9w630o8FVl. For more great environmental learning programs, check out our complete listing at https://cbeen.ca/wildvoices-programs/. 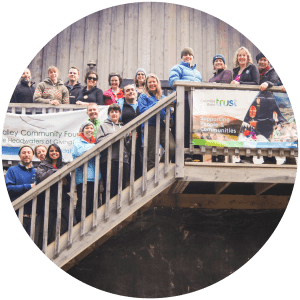 This week's #CBEENDirectory feature is Friends of Kootenay Lake Stewardship Society! Friends of Kootenay Lake encourage a broader and deeper understanding the lake’s ecosystems and strive to build cooperative relationships among Kootenay Lake communities. Every lakeside community member has a role to play in protecting the lake’s immense value. Save the date for their Spring Beach Clean-up at Kokanee Creek this April 27th: http://ow.ly/Dotz30o9MA6. Find the Friends of Kootenay Lake Stewardship Society among 125+ other organizations in our directory at https://cbeen.ca/directory/! This week, we're sharing "Citizen Science: Birding at Kokanee Creek" in our #wildvoicesweekly program feature! For Citizen Science: Birding at Kokanee Creek, Nelson area students get to be an ornithologist for a day at Kokanee Creek Provincial Park! Groups will learn how to identify local birds by sight and by their calls; look for bird sign (woodpecker excavations, nests, tracks, owl pellets etc. ); and talk about the relationship of birds to their habitat. Teachers can find a direct link to this full day field study, here: http://ow.ly/35Fp30o8EtN. For more great environmental learning programs, check out our complete listing at https://cbeen.ca/wildvoices-programs/. Students from J.L. Crowe Secondary took their learning to Strawberry Pass last week, where they picked up some Winter Safety & Survival Skills from #wildvoices educator Shanoon Bennett. Thanks for the snap, Ami! Ryan MacGregor Stoked to be returning for another tour! This week, we're talking about the Columbia Basin Rural Development Institute (RDI) in our #CBEENdirectory! The RDI, at Selkirk College, is a regional research centre with a mandate to support communities through the provision of information, applied research and outreach. The RDI collects, analyzes and synthesizes data on economic, social, cultural and environmental indicators for each community in the Basin. A great resource for secondary and post-secondary educators and students! 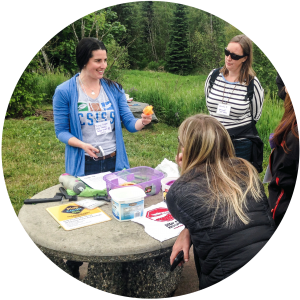 Tips & tricks for taking your learning outside this spring from teachers in the Columbia Basin! This week's #wildvoicesweekly program feature is "Wildflowers are Wonderful", available to classrooms in Golden! During this field study, students will visit Golden's Wildflower Park to search for wildflowers in bloom. The group will take a close look at the orchids and other flowering plants and observe pollination in action. Through role-play and games, students learn how flowers work, and their importance to ecosystem function. Teachers can find and book this half day field study through the direct link, here: http://ow.ly/TEqO50nKZJr. Find more great environmental learning programs in our directory at https://cbeen.ca/wildvoices-programs/. Ania Cronin Deborah Griffith, look what you started! Another great professional development opportunity from our friends at Selkirk College! INDG100 is offered this May, with another session in August. Details and contact information below. This week, we're featuring Mainstreams in our #CBEENdirectory! Centred in Kimberley, British Columbia, Mainstreams’ prime focus is healthy water, with the purpose of educating and heightening awareness on water related issues and solutions. Mainstreams conducts presentations and field studies beyond the Mark Creek watershed for classrooms across the Basin. Find out more about Mainstreams and their programs, and over 125 other organizations in our directory at https://cbeen.ca/directory/. This week, we're profiling "A Day with Aquatic Macroinvertebrates" in our #wildvoicesweekly program feature! This program, available to classrooms in the North Kootenay Lake area and Nelson, introduces students to aquatic bugs, and what they presence or absence of different species tell us about the health of our streams. Through this field study, students get the opportunity to sample and identify macroinvertebrates, and learn the vital importance of good water stewardship. Teachers can find a direct link to this half day field study, and book, here: http://ow.ly/uEBt50nKYgm. For more great environmental learning programs, check out our full listing at https://cbeen.ca/wildvoices-programs/. This week's #CBEENdirectory feature is the MudPie Collective! 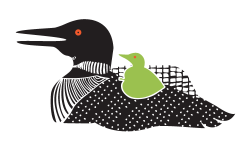 Based in Invermere, the MudPie Collective is the partnership of two Early Childhood Educators who are passionate about creating opportunities for young children, their families and early childhood professionals to engage in, about, and for the environment. This week's #CBEENdirectory feature is the MudPie Collective! Based in Invermere, the MudPie Collective is the partnership of two Early Childhood Educators who are passionate about creating opportunities for young children, their families and early childhood professionals to engage in, about, and for the environment. They've created physical resources for educators, including activity cards, and have big plans for pro-D in the future! Find out more about the MudPie Collective and 125+ organizations in our region at https://cbeen.ca/directory/! Don't miss this week's webinar from Green Teacher: "Easy, Local, Bird-Focused Citizen Science" with Liza Barney! Taking place this Wednesday, link on our webinars page: https://cbeen.ca/webinars/.